Transform with IFIM’s PGDM (Finance)-ranked as the leading Finance Program in Bengaluru and sixth all India. A specialized program designed for careers in Corporate Finance, Capital Markets, Banking and Financial Services, the curriculum has received recognition from the CFA (Chartered Financial Analyst) Institute’s University Recognition Program. It has a concurrent curriculum developed by experts from academia and industry with new age courses like, Financial Modelling, BFSI Operations, Global Securities Markets, Business Analytics, Business Valuations, Microfinance, etc. IFIM's Work Integrated Learning Program (WILP) is a two years PGDM program in which a corporate internship is integrated into the curriculum and forms an integral part of academic learning. The program offers the students an opportunity to pursue their studies while they intern with a company and earn a stipend. 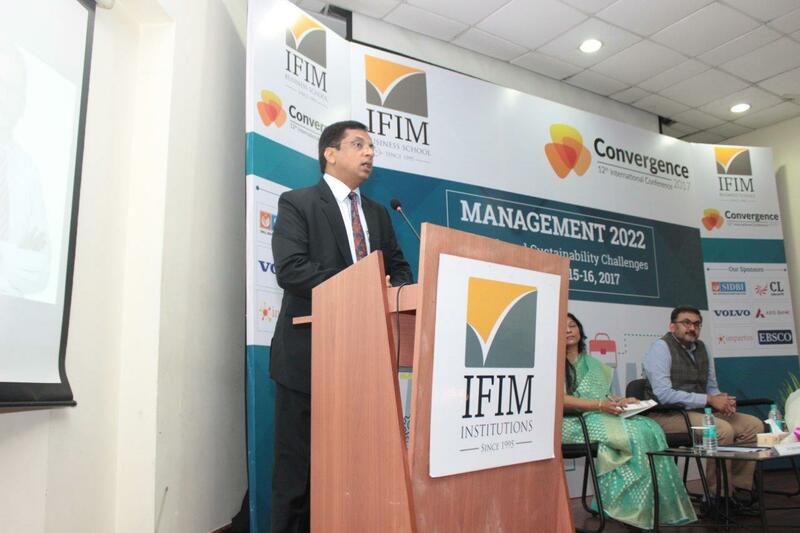 IFIM facilitates the internship with leading corporate partners. NSE’s PGCP-GFM is a highly sought after program, and through this joint arrangement is being offered for the first time in Bengaluru, India. Successful completion of this program leads to global regulatory certifications from USA and India. The PGCP-GFM is a 11 months, full time program divided into 3 trimester with intensive training and an immersion in Singapore. at The Capitol Hotel on the theme of ‘Fintech: Opportunities & Challenges’. Workshop in collaboration with Harvard Business Publishing. Convergence on the 15th and 16th of September.